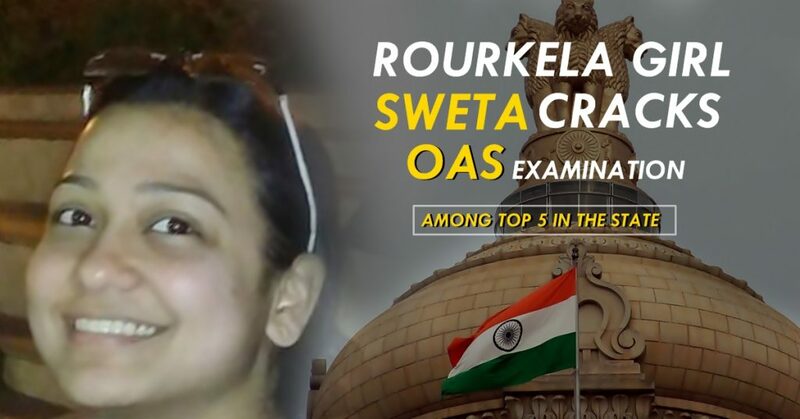 Despite every hurdled Rourkela born Swetasnigdha Pradhan has cracked OAS examination. Sweta who was a student of Ravenshaw University in 2007 was also the topper in ARTS stream in her +2. The restless hardword of day and night and hard labour has finally paid off. Sweta not only cracked the Odisha Administrative Service Exam but also ranked amongst TOP5 of the state and 2nd topper among girls. After passing our from Mumbai University she was preparing for Civil Service & she proved that it doesn’t matter how much hour you are putting but all that matters is how productive and efficient your hard work is. Do not believe in quantity of hard work rather believe in it’s quality. Now for those who wants to clear the Civil Service exam it can make it easier for them.